Here are three “nail-ups” from west Belfast, all showing their age. 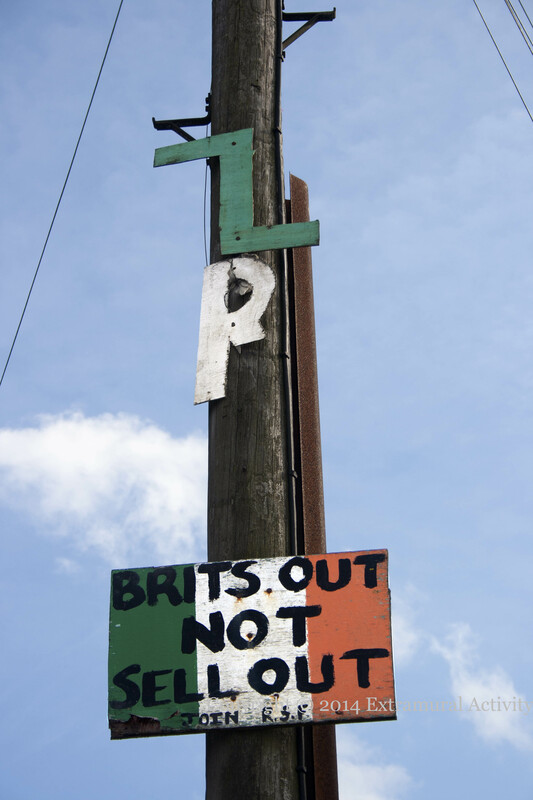 The first is “IRA – Brits out, not sell out. Join RSF” in Fallswater Street. 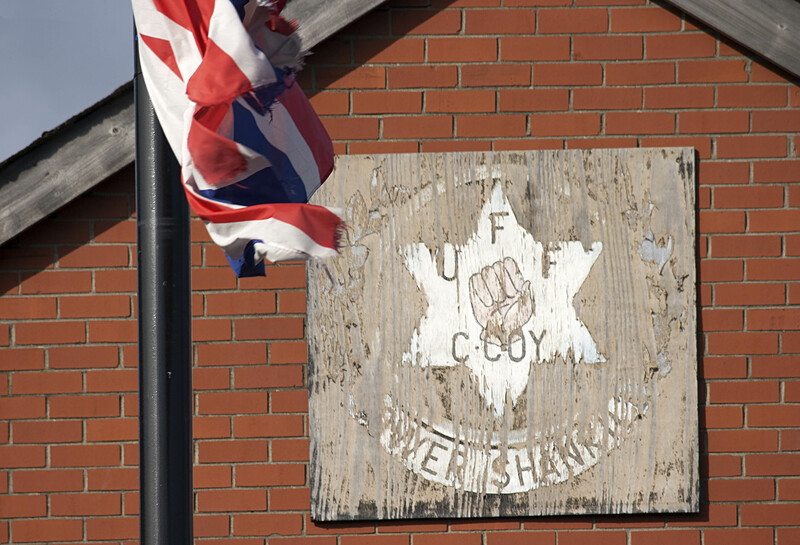 The second is a “Lower Shankill UFF C Coy” board high above the “Shankill Protestant Boys UVF” mural at the junction of Northemberland Street and the Shankill. 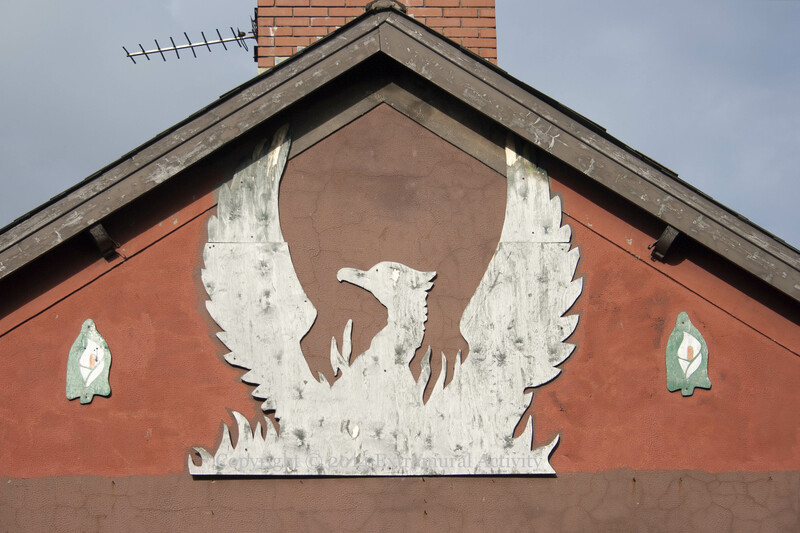 The third is the phoenix in the apex above the mural in AMCOMRI Street. The images were taken in late 2014; the phoenix goes back at least to 2003 and the others are at least six years old.